…but as we know, our work is never done because enrollment and post-enrollment support is year-round! But last Friday, December 15th, marked the end of the fifth open enrollment for the federally-facilitated marketplaces. While the dust has hardly settled and many state-based marketplaces—including Covered California, Connect for Health Colorado—remain open for many more weeks, there are a few key takeaways we already know. Final enrollment numbers are not yet out, but what we know so far is that that millions of consumers have already enrolled in coverage. This is despite the backdrop of all-time highs, and marketplace issuers are on stable financial footing, and more affordable plans are available. Since the first open enrollment period, health access assisters—those who help people enroll in and use coverage—have been charged with focusing on assisting low-income, vulnerable populations, including immigrants, young adults, Latinos, and African-Americans. They are intimately familiar with the unique communities they serve and are well-equipped to help with marketplace enrollment and enrollment in Medicaid and the Children’s Health Insurance Program (CHIP) and they help consumers year-round understand how to use and keep their coverage. This open enrollment period has been no different: consumers have continued to rely on the valuable assistance these groups provide, with many assister programs citing high demand. It would be an understatement to say that health access assisters, and Navigators in particular, faced many hurdles throughout the open enrollment period. For starters, the Trump administration drastically slashed funding for their programs. They also cut funding for outreach, education, and marketing that helps consumers know about their coverage options and where they can go to get in-person assistance, which impacted the enrollment community across the country. Additionally, for the first year ever, healthcare.gov directed consumers to agents and brokers and prioritized their assistance over the unbiased, free help that assisters provide. This was done through the “help on demand” tool that healthcare.gov promoted and used to refer consumers to agents and brokers, without providing them with any information about local, federally-funded assister programs. It also means that local assister programs weren’t provided with the same information as agents and brokers to reach consumers. This could very well prove to be the self-fulfilling prophecy the Trump Administration is seeking, considering their continued inaccurate claims that Navigator programs are ineffective. Most state-based marketplaces’ open enrollment periods last well into January. Assisters in those states will continue their hard work and more consumers will benefit from enrolling in coverage. Medicaid and the CHIP enrollment are year-round. Consumers can still enroll through special enrollment periods (PDF) when they have qualifying life events, including if an individual’s plan is discontinued or if they were affected by natural disasters, such as Hurricanes Harvey, Irma, or Maria. See this blog post by our friends at the Center for Public Policy Priorities in Texas for more details. Outreach, public education, and sharing consumer stories happens throughout the year. Consumers rely on the consumer assistance health access assisters provide in order to access care once they are enrolled in coverage. Entities, such as NAHAA, need to continue to emphasize the important role assisters play in order to protect the programs from further cuts. Assisters are also already in the beginning stages of planning debriefs to learn from one another and use lessons learned to plan ahead. We are excited to partner with Families USA to offer an entire enrollment track of workshops and networking opportunities at the 2018 Health Action conference. Join us January 25-27 in Washington, DC to celebrate a successful open enrollment period and connect with colleagues. If you are a health access assister or work on enrollment, please email us for a discount code at info@nahaa.org. If you are interested in becoming a member of NAHAA, please sign up for our mailing list! Our membership application will be on our website by January 2018. 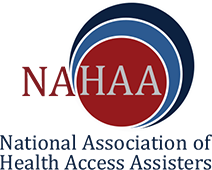 Interested parties who would like to sponsor NAHAA events should email us at info@nahaa.org.